What could be better than relaxing in the comfort of a Harbour Deep Seating Chair Set? Adding a POLYWOOD® Fire Table to the mix. 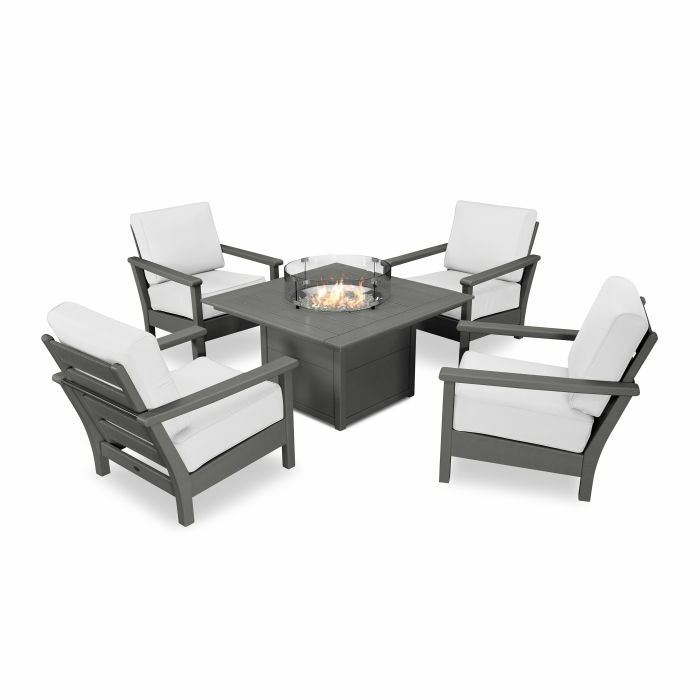 Seat up to four people in your preferred outdoor spot and summon an adjustable flame from a bed of glass gems with just the push of a button. The Square Fire Table protects kids and pets from the flame with a hassle-free wind guard. Safe to use on wood and composite decks, concrete patios, yards, etc.